Duck season is open and so is the traditional duck fest! Help the cook feed hungry villagers by hunting ducks & completing missions. The best part of course is that you’ll get to buy new guns and unlock new shooting spots with your earnings. How about going hunting with an automatic shotg... see more Duck season is open and so is the traditional duck fest! Help the cook feed hungry villagers by hunting ducks & completing missions. The best part of course is that you’ll get to buy new guns and unlock new shooting spots with your earnings. How about going hunting with an automatic shotgun? Duckz! 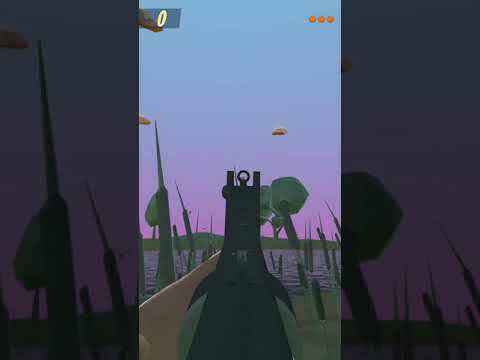 reimagines the classic duck hunt as unique first person shooting game you can play everywhere! Aiming is automatic, just tap to shoot! To make the game interesting, Duckz! features accurate shot string physics used also in Clay Hunt PRO - the most realistic shotgun shooting simulator available for mobile. So you&apos;ll have to lead the bird as you would in real life! So grab your new pump action shotgun and get hunting with the help of the towns duck hunt specialist!